The Research Centre for Photonics & Instrumentation is runner-up for the Royal Society Athena Prize 2016. 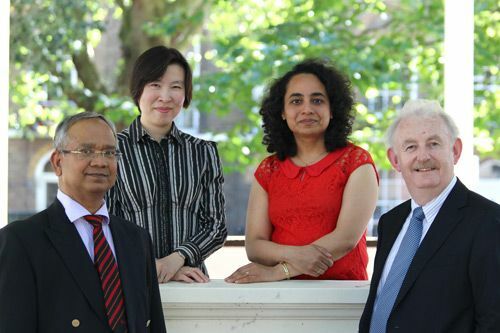 The Research Centre for Photonics & Instrumentation in the Department of Electrical & Electronic Engineering, has been selected as a runner-up for the Royal Society Athena Prize 2016. The Centre has been cited as ‘acting as a role model for inclusiveness by promoting good practice and addressing cultural barriers both nationally and internationally’. “My colleagues and I are delighted to have won this prestigious runner-up Award. As a Centre we pride ourselves on the diverse nature of our staff and students and on the opportunities that we have had to positively influence colleagues abroad with whom we have worked and to promote the success that comes through a focus on working together across boundaries". The recipient/s of the prize receives a medal and a gift of £5,000 and runners-up will receive a gift of £1,000. Winners of the prize and the runners up with be awarded at a ceremony at the Royal Society’s annual diversity conference, this year to be held on 31st October 2016. Photonics is the science of light. It is the technology of generating, controlling, and detecting light waves and photons, which are particles of light.